With the September Quarter now concluded Stratos Legal has tallied up the insolvency appointments and as usual the results make compelling reading. Yet again Worrells has demonstrated its iron grip on the market for creditors voluntary liquidations (CVLs). The national firm topped the list for CVLs in the three east coast states and in South Australia, leaving the firm well placed to finish 2018 at the top of the CVL rankings, as it did in 2017. 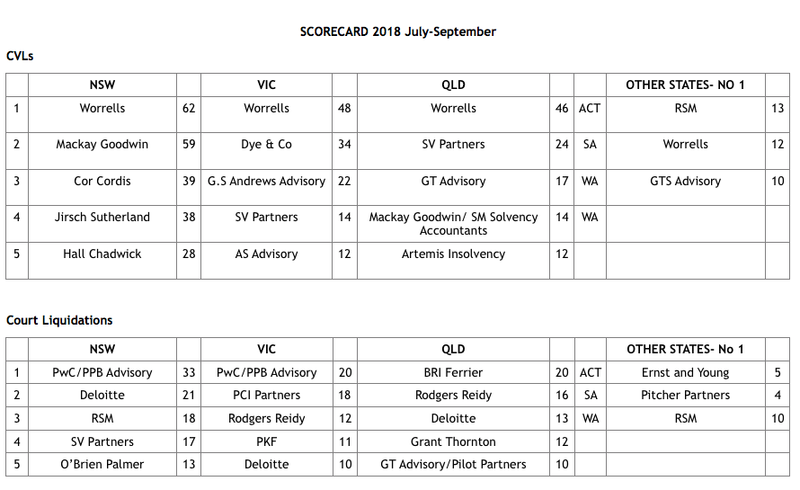 Other strong finishers in CVLs included Mackay Goodwin, which has consistently appeared at the top of the NSW rankings since last year, Dye & Co in Victoria and SV Partners in Queensland. In terms of court-appointed liquidations, the now PwC-owned PPB Advisory performed most strongly, easily dominating the numbers in NSW and Victoria. 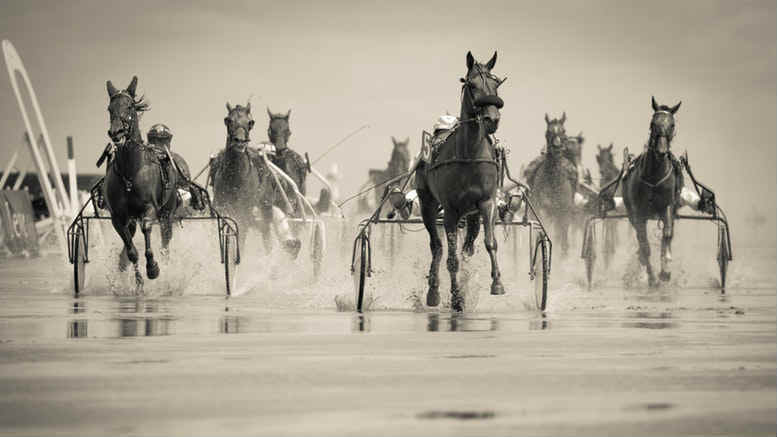 In Queensland, where PPB is still dealing with fallout from fraud allegations it and ASIC are pursuing against former partner David Leigh, the firm doesn’t figure in Stratos’ top five. 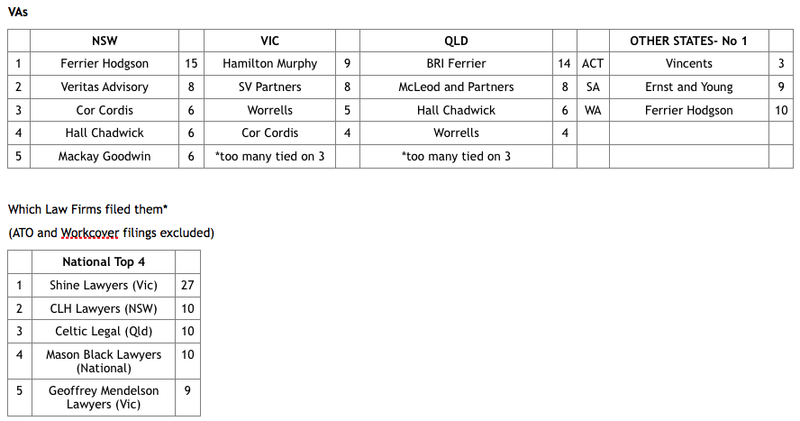 BRI Ferrier, which was ranked fifth in VAs in Queensland at the end of June, has surged to lead this latest quarter. It’s a crowded top end though, with Rodgers Reidy, Grant Thornton and Deloitte all close behind. In NSW and West Australia, the Sumo Salad appointment helped push Ferrier Hodgson to top spot in VAs. In Victoria Hamilton Murphy clinched the September quarter lead while in Queensland BRI Ferrier again distinguished itself as front runner. For a full breakdown see the tables below. 2 Comments on "Insolvency Appointment Stats – September Quarter"
Show us the bankruptcy appointment figures!! What’s happened to Chifley Advisory & SM Solvency? ?